On November 1st, Firefly by P.M. Pevato hit the number 9 spot in the Kids' and Teens section of the Kobo.com store. Paula's book was chosen as a Kobo Teen Hidden Gem for 2014. She joins us today to talk about her top ten success. 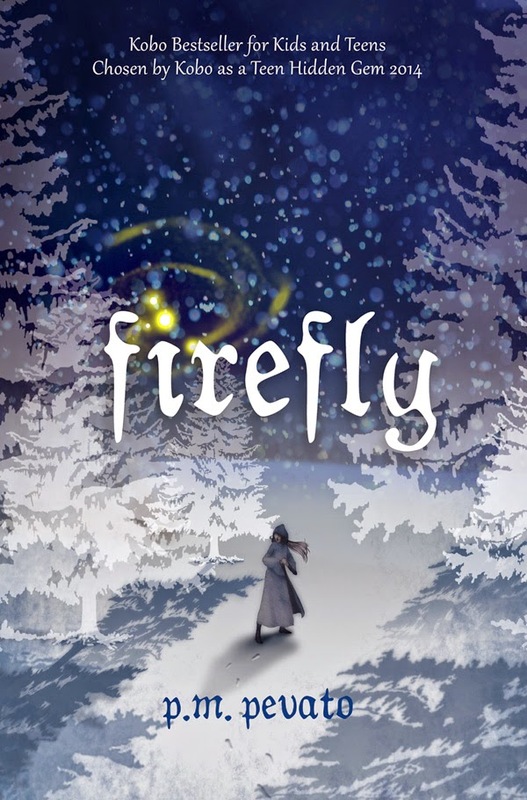 Firefly is the bittersweet love story between a teenage witch and the immortal witch hunter assigned to assimilate, infiltrate and eliminate her Coven. Independently published, originally August 2013. Joined Kobo Writing Life in 2014 and republished on Kobo, with my own ISBN in July 2014. Firefly is still available through another distributor on Amazon, iTunes, Barnes and Noble, among other retailers. A variety of factors: networking on social media, connecting with readers and bloggers on tumblr and Goodreads, joining Kobo Writing Life (outstanding support for indie authors), subject of e-book (YA paranormal, witches and witch hunters), perseverance, patience, good writing and editing, and a professionally designed cover that draws the reader in. As per previous response, I am extremely active on social media: Goodreads, tumblr, Facebook, Twitter, Pinterest (inspiration boards), Instagram. Once all accounts were set up, I don’t need to spend a lot of time as one might assume because one post on tumblr, for instance, feeds other accounts. My social media activity is extremely efficient. And it is worth it. I connected with YA bloggers who have tumblr and Goodreads accounts and who review YA paranormal. They have become extremely supportive and loyal, anticipating book II, cheering me on, recommending books to read, and inviting me to join YA groups on Goodreads. I am not familiar with any studies. However, in my opinion, reading is reading whether in print or on a tablet. Children and teens are extremely savvy with evolving technology, and the fact there is a choice between print and tablet can only encourage reading. My target audience is Young Adult, from 13 to 17, although I have been contacted by younger readers as well as adults. The book is MG and YA friendly, so there are no concerns for a young audience. My e-book is priced within the “sweet spot” as indie publishers call it (between $2.99 to $4.99, and adjusted according to each market), thus extremely affordable. YA reviewers are happy to receive the e-book via email – it is instantaneous as opposed to snail mail. Given my experience in academic publishing, I didn’t hesitate to explore self-publishing. I applied my transferable skills and experiences. The time and energy it takes to find an agent for me was better spent working on my novel, building my author brand, attending conferences like Book Expo America and self-publishing workshops in New York City, finding common denominators, positives and negatives, and doing my own homework. I can only describe my attitude as motivated. At present, my decision to self-publish - instead of waiting for the uncertain path to find an agent who in turn would query a publisher - resulted in exposure and attention that Firefly would not have received had it remained unpublished. I didn’t go through a waiting game; rather, I took a DIY approach. The path I chose, to self-publish, has led to wonderful relationships within the self-publishing industry, with reviewers, bloggers, and enthusiastic readers, and attracted the attention of traditional publishers. Recently, I contacted YA reviewers/bloggers who reviewed Firefly and asked if they’d like to review an Anthology of short stories (see below). The bloggers responded enthusiastically. I’m overwhelmed with gratitude. Every time a reader likes and reblogs a tumblr post, sends a message, I am grateful, and the unexpected these messages weren’t anything I could have predicted. I didn’t think that far ahead. It was also unexpected for Kobo to have chosen Firefly as a Teen Hidden Gem for 2014. And most recently to have achieved bestseller status. I expected self-publishing to be a steep learning curve, but didn’t think about anything other than publishing, building my brand, and networking. The rest is a gift. I approach my writing as a profession. Every Friday, I draft a writing schedule for the coming week. Write, edit, read, research, repeat. Writing is my bliss. However, I make time for horseback riding, yoga, gardening, a monthly book club, and other activities. Presently, I have just finished final editing of a proof for a short story, “The First Coven”, to be included in an anthology entitled Short & Happy (or not), edited by Richard Bunning and Dixiane Hallaj (S & H Publishing). This anthology is scheduled for publication mid-November 2014. I am also drafting book II of The Firefly Series, and working with an editor on revisions for Firefly, although I can’t make any definitive announcement about publishing traditionally just yet. During a panel discussion at a self-publishing conference, a well-known agent described the publishing industry as going through “tumultuous changes”. That was in June 2012. I do not envisage print media disappearing; however I do anticipate the number of eBooks published and purchased will continue to increase. When that escalation will plateau, I can’t say, except that the development of the e-publishing world specifically for children and young adults will continue to evolve over the next 5 years and beyond. Public libraries are lending e-books and tablets, a sign of things to come. E-format has been tremendous for me. I reached a significant audience and offered an appealing paranormal story at a great price point. Whether e-book or print, reading is reading, and can only contribute positively to developing a child’s and young adult’s love of reading, a relationship that will be carried forward into adulthood. As she mentioned in the interview, P.M. Pevato is very active with social media. If you want to find out more about her and her books, try her website, Facebook, Goodreads, Twitter, Pinterest, Tumblr or Instagram. A second edition of Firefly will be published in both eBook and paperback versions later this month. See the latest Kids' EBook Bestseller List for more top ten e-format authors and their books. It's updated every Saturday morning. Big news on the list: iBooks has now broken out their Children's Top Tens separate from Young Adults. They used to be bunched together under the "Children and Teens" category. My chart has been updated to reflect that change. Check back next week when my featured author will be Erin Fletcher.